What is reconciliation? What is not reconciliation? Discuss these and other important issues with Reconciliation Canada Ambassador and member of the Snuneymux’w First Nation, Yvonne Rigsby-Jones, at an insightful and informative afternoon, supported by Reconciliation Canada and Cowichan Tribes. The event, called What Reconciliation Is and What It Is Not, starts at 1pm on Saturday, November 3 at the Island Saving Centre’s Heritage Hall. A dignitary from Cowichan Tribes will welcome Rigsby-Jones who will then conduct her presentation, followed by a question and answer session with the audience. Snacks and refreshments will available afterwards. Space is limited at this free event. To secure a seat, attendees are encouraged to call the Library at 250-746-7661, register at the Library’s front counter, or online at http://virlcowican.eventbrite.ca. Rigsby-Jones will also visit the Nanaimo North Branch on November 22, Nanaimo Harbourfront on November 30, and Courtenay on December 14 as part of this series. More information is available at virl.bc.ca/reconciliation. grandmother, friend and Reconciliation Canada speaker. 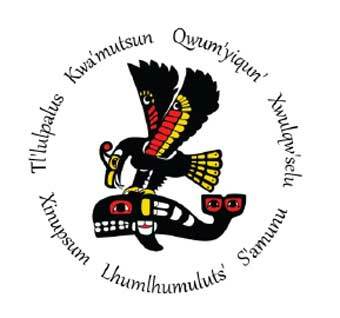 She was previously employed as the Addictions Specialist for the First Nations Health Authority bringing a background of working in Addictions and Trauma Healing. Born from the vision of Chief Dr. Robert Joseph, Gwawaenuk Elder, Reconciliation Canada is leading the way in engaging Canadians in dialogue and transformative experiences that revitalize the relationships among Indigenous peoples and all Canadians. Reconciliation Canada’s model for reconciliation engages people in open and honest conversation to understand our diverse histories and experiences, and actively engages multi-faith and multicultural communities to explore the meaning of reconciliation. Discover more about Reconciliation Canada.